Do you want to travel but you don’t want to go too far? 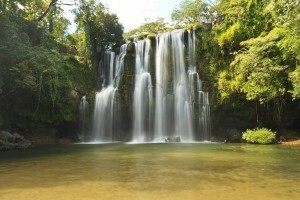 You’ve been to Mexico and Canada and you want to try someplace new and exciting – try Costa Rica! Costa Rica has been slowly becoming a destination for Americans, and with good reason. It is a beautiful country that has a lot to offer visitors. Costa Rica is a very unique country that has something for everyone – from rainforests to volcanoes to beaches. While you may not get the same feeling that you get when you land in Europe for the first time, you will get a sense of adventure! You can go horseback riding, surfing, whitewater rafting, or zip lining through the jungle. Hiking to the spectacular waterfalls is a great way to spend an afternoon. You can spend time laying on the beach or you can explore the jungles and rainforests. 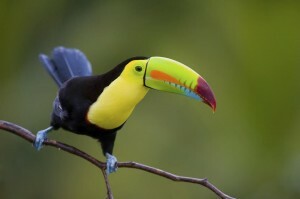 You won’t have to search hard for the many animals that call Costa Rica home. Monkeys, sloths, Keel-billed Toucans, ocelots, and turtles are not hard to find since Costa Rica became the first country on the American continent to ban recreational hunting in 2012. In many cases, monkeys and exotic birds come right up to your hotel windows! Costa Rica is also considered to be one of the greenest countries in the world by the New Economics Foundation. The government has initiated a massive reforestation within the past couple of years. They have planted over 5 million trees! Costa Rica has set a goal to become carbon neutral by 2021. The possibilities of adventure are endless in Costa Rica, follow this link to learn more information! This entry was posted on Thursday, January 23rd, 2014	at 1:30 pm	. You can follow any responses to this entry through the RSS 2.0	feed. Both comments and pings are currently closed.